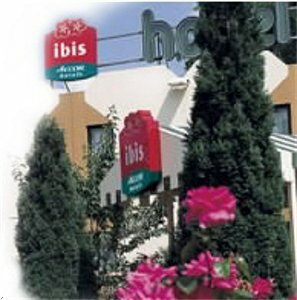 The Ibis Brussels Centre Sainte Catherine is located in the centre of Brussels, close to the Grand Place, 5 minutes from the metro and the railway station. The shopping centre and cultural district are a just few minutes walk away. Book one of our 236 mo. dern and comfortable airconditioned rooms and benefit from use of our amenities, 2 meeting rooms, public pay parking, a snack bar open 24 hours and, as business guests will appreciate, WiFi Internet access. Restaurants are available nearby the hotel. From Paris, Lille, Oostende, Brugge, Gent, Amsterdam, Antwerpen : follow E40 Gent-Gand. Exit Brussel-Koekelberg. Follow Centre. Take the tunnel. Exit Centre-Centrum. 1st right and always straight ahead. In front of the Novotel, turn right. From Koeln, Liege, Zaventem airport, Namur : follow E40 Luik-Brussel.Exit Brussel Centre-Centrum.Take the tunnel. On Schumann, follow Brussel, follow Cathedrale, follow De Brouckere, cross Bd Anspach, parking turn left. In front of the Novotel, turn right.